Preference pane for the Vox music player. Is there a better alternative to Vox Preferences? Is Vox Preferences really the best app in Music category? Will Vox Preferences work good on macOS 10.13.4? 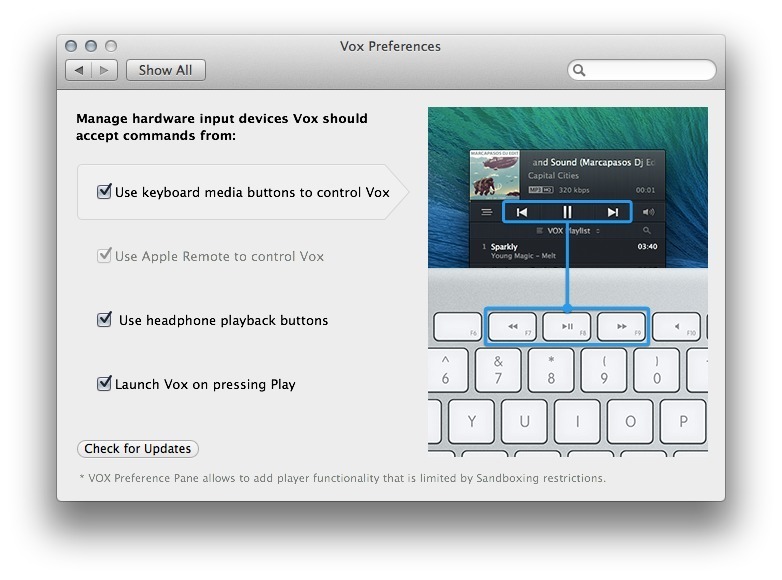 Vox Preferences lets you use your Apple Remote, keyboard media keys, or headphone remote buttons to control the Vox music player. This extension is optional but it enables much smoother experience with Vox.